Christmas is that time of year where everything feels like it has been thrown out of sync, whether you celebrate Christmas or not, chances are it will have some sort of personal impact on your life. It could be in the form of traffic, everlasting lines in the store or frequenting your favourite restaurant where the price has suddenly increased or the establishment is simply busier than usual. Let us quickly for a minute observe the winter/Christmas time from a nutritional perspective, this is the time of year where one’s health can easily be compromised. The months are much colder and we seek solace in comfort food, sounds wonderful right? Well what if said “comfort food” was food high in refined sugar, unhealthy carbohydrates and saturates fats? Then that would be the recipe for disaster me thinks. I affirm how easy it is to succumb to “feel good foods”, our bodies crave something pleasurable, this is the stimuli of endorphin’s. It’s cold outside and our primary source of vitamin d (the sunshine) has disappeared so we spend winter hibernating, cold dodging and eating crap (to be blunt). I’m not here to judge you, moreover I can identify with the aforementioned as I was once an avid cold dodger (still am) and ate the wrong type of food during the cold snap but let’s talk more about Christmas as I feel I’m beginning to digress here. Christmas is that celebratory period where family and friends get to together to celebrate the birth of Christ and exchange gifts. One thing that is undeniable is the large amounts of food eaten during the festive season. I know many health enthusiasts worry about compromising there ‘diet’ during Christmas period and this is part of the reason why I don’t support diets but encourage people to embark on a healthier lifestyle rather than seeking a temporary solution. Irrespective of whether you are dieting or not, it’s safe to assume that you’ll be faced with what one may describe as unsavory food. With that being said I’m going to provide you with some ways to stay healthy over the Christmas period and how to avoid winter weight gain. It’s as simple as that. While you won’t have complete control over what you’re eating, it’s best to shift your mindset into believing that YOU WILL EAT THE WRONG TYPE OF FOOD. Now before you curse me out, let me just clarify something I am NOT suggesting that you deliberately eat junk food. What I mean is to be more aware of your surroundings and know that you will mostly likely eat at least one thing that’s not in line with your normal food habits and that’s okay, we are human after all. It’s okay to indulge in naughty treats, remember it is Christmas, you won’t be consuming these food EVERYDAY, however you should know your limit and control is key. Following on from my first point concerning realistic expectations during the holidays. While you may eat the wrong type of food at Christmas. It’s equally as important to have some self-control, it’s easy to tell yourself that it’s Christmas which gives you the licence to over consume food. However, being disciplined is key to surviving Christmas, that last thing you want to do is undo all of that hard effort made to maintain a healthy lifestyle. Not only will you gain a significant amount of weight from over indulging BUT increase the chances of reverting back to your old ways or shifting the dynamics of turning the occasional naughty treat into a permanent habit. A good way to control yourself is to diarise what you eat, use this as a visual aid to log what you eat and portion control DON’T use your diary as a tool to evoke guilt. It is there to monitor your progress during the festive time and not spark any negativity. Christmas for many encompasses being merry and drinking alcohol/spirits. If you are going to have a few drinks just remember alcohol is full of refined sugar which causes a major crash and burn. Also excess alcohol consumption is known to deplete the body’s fluid levels causing dehydration . If the body is too dehydrated this can result in feeling weak, tired with dizzy spells from low blood sugar levels. Make a conscious effort to increase your fluid intake 6-8 glass of water should help restore your body’s water level, try to drink some water before and immediately (if possible) after drinking alcohol. This may seem like a contradiction to what I have said about being realistic to succumbing to foods outside of your remit. While that is indeed true that doesn’t mean you cannot practice good health over the Christmas period. There are so many things you can do through this time to make it a pleasurable experience giving yourself some form of control at times. For instance starting the day with porridge, a fibrous good source of slow releasing energy, try my green banana porridge or overnight oats recipe . Soups are good comfort food which not only encourages weight loss but also leaves the body feeling fuller for longer. My top winter weight loss recipes include this creamy mushroom soup or this gungo pea soup or even my pea and parsley soup . Do try to embrace those occasions where you are in complete control over what you eat. Even snacking on fruit and vegetables enriched with enzymes prior to attending a family function makes the difference to how the digestion system breaks down food. Here’s another amazing method to not only get involved in the Christmas celebrations but to also incorporate some cardio. Lots of cities/town have ice rinks – indoor and outdoor. The term stay active stay healthy comes in mind!! It is a contemporary activity to get involved with and one that many people seem to enjoy. Take yourself down to your local ice rink – go with friends, family or with your significant other, whatever you do make sure to skate and move around don’t watch from the sidelines in fear of falling over, so what if you fall, that is all part of the experience, laugh it off. 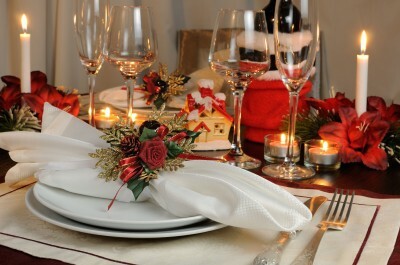 One of the major pitfalls during Christmas time is not knowing which seasonal foods to eat. There are an array of current foods that you can embrace like pumpkin, cranberries, chestnuts, artichokes, cabbage, pear, papaya, sharon fruit (persimmons) squash, sour sap, parsnips and brussel sprouts just to name a few. Cook these during the winter/Christmas, not only will they be cheaper but also timely festive foods. One last thing, don’t be afraid to ask for gifts that relate to cooking/health – pot and pans, cookbooks, spice or even chef knifes use this season to embrace a healthier lifestyle. If you succumb to the wrong type of food, as I said, that’s okay, just remember you can bounce back and continue leading a healthy lifestyle at your own pace.